The Elbe River Basin is one of Central Europe's largest catchment areas, shared by a total of four countries (Germany, Czech Republic, Austria and Poland). 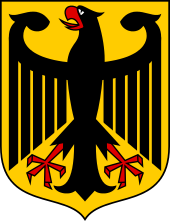 If all of its tributaries are taken into account, the river Elbe runs through ten German Federal States. Due to this geographic unity, these Federal States carry joint responsibility. Therefore, in 2004, the ten Federal States commonly founded the River Basin Community Elbe (RBC Elbe; in German “Flussgebietsgemeinschaft (FGG) Elbe”) in order to ensure organised River Basin Management across state borders throughout the whole German Elbe River Basin. The cooperation mainly focuses on the implementation of the European Water Framework Directive (WFD) and the Floods Directive (FD).